Calbee launched 7-Elven only Jagarico Chocolate on January 6, 2018 at 7-Eleven only. 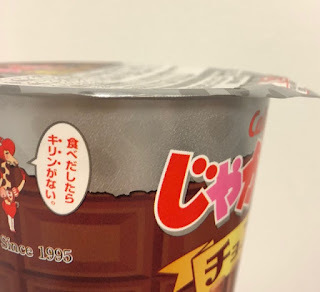 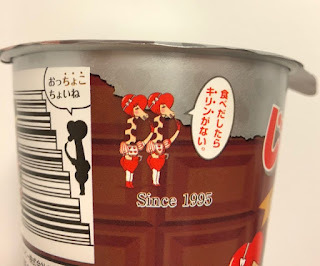 This is the first time to produce chocolate flavor for the crunchy potato stick snack. 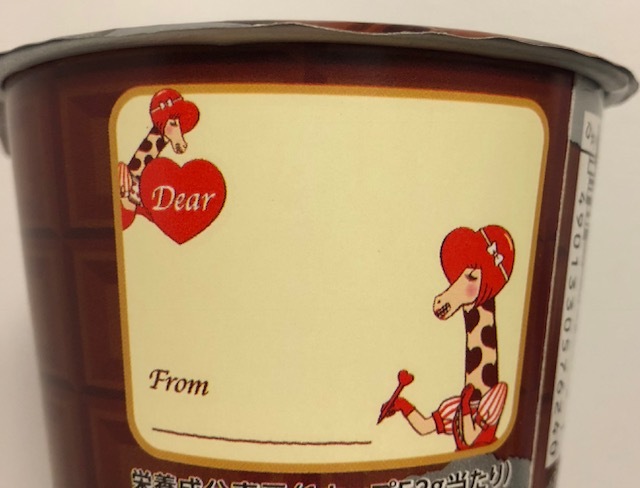 The silver part of the cup and the lid had heart all over when I took a close look. 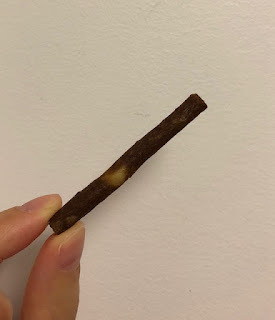 And the brown part is a bar of chocolate. It says limited time only, and the giraffe's hear was red and heart shaped. 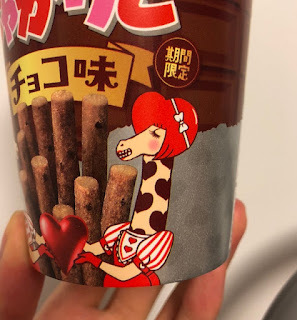 The spots of the giraffe were heart, and the blouse had hearts, too. The two giraffe says, "Once you eat, it's endless (because it's so good)." 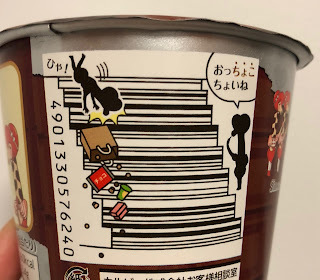 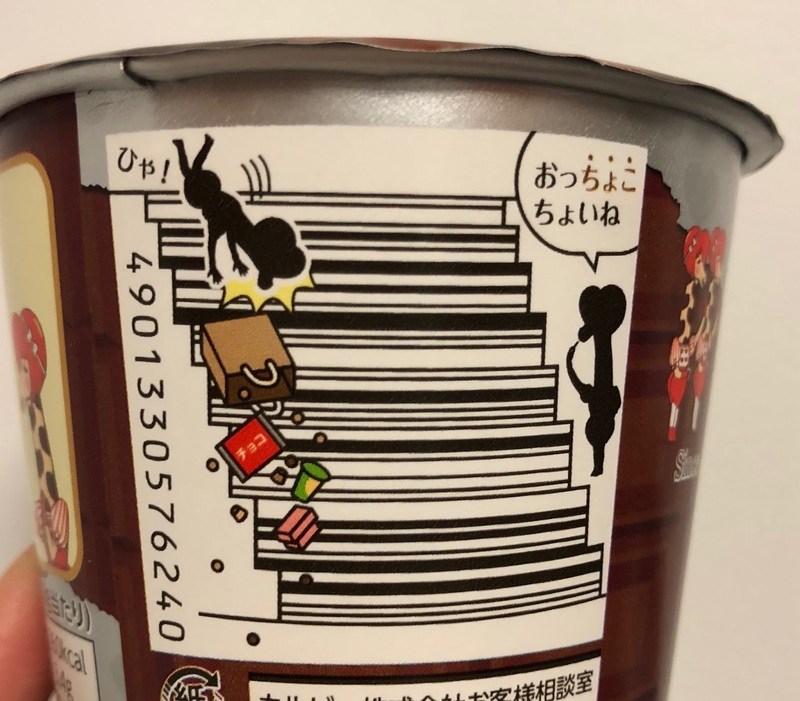 As always, they have a unique design for the barcode, and this time, they made the barcode as stars and one giraffe is telling the other falling that s/he is goofy. As it's a Valentine's Day flavor, there's a memo box to write name and message. 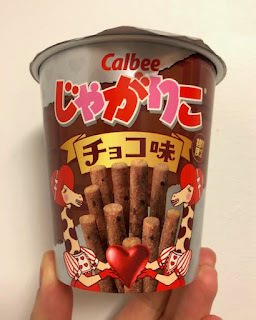 They're much darker brown than I thought, and they had sweet milk chocolate scent. 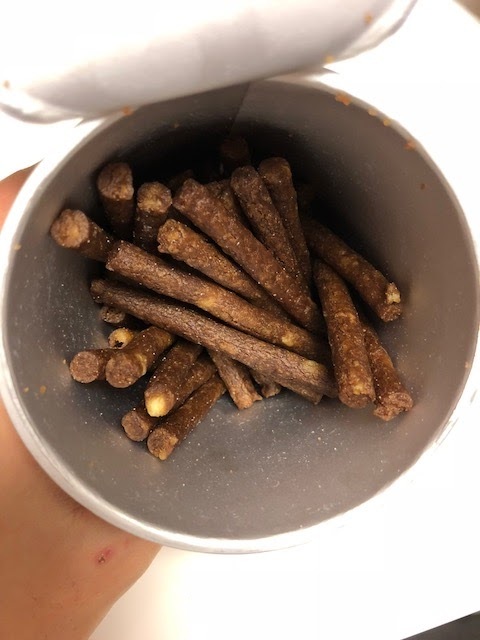 The sticks are made with chocolate powder, chocolate flavored bits besides potatoes, but I couldn't see any chocolate chips. 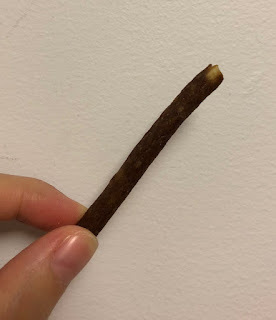 Instead, I saw some potato-colored parts in the sticks. 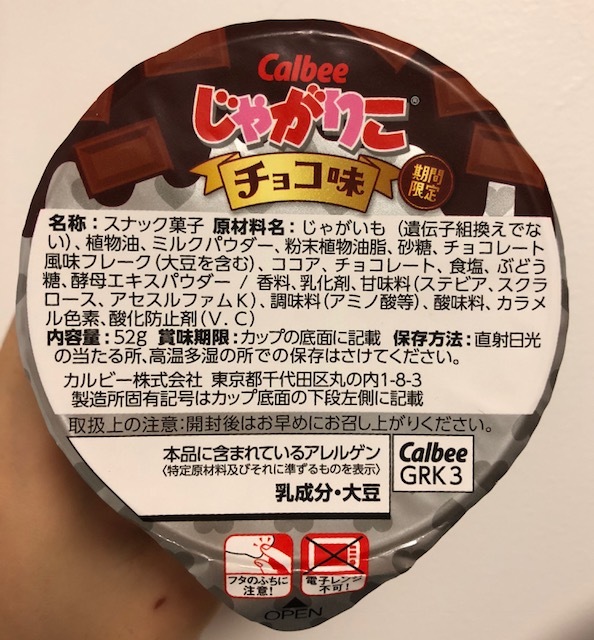 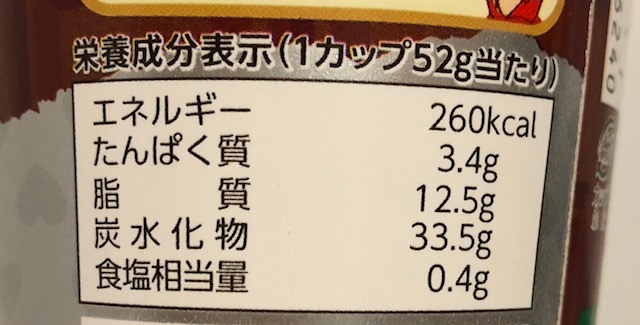 It's saltier than regular Jagarico, and the chocolate flavor gradually appeared in my mouth, then the aftertaste was chocolate. 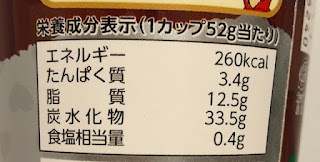 It's not that mediocre, but I think normal Jagarico (not sweet) flavors are much tastier.